Privileged access to your system will be required. 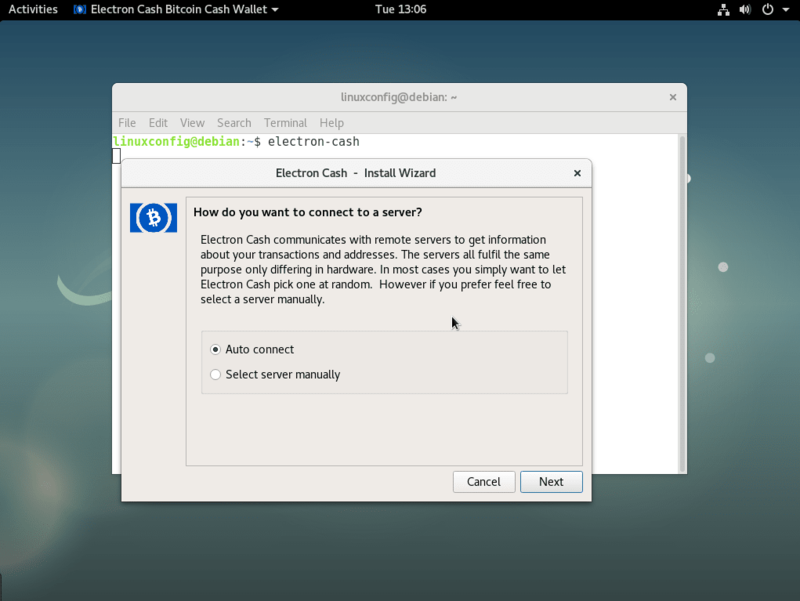 The following linux command will download a latest version of Electron Cash wallet. The current version at the time of writing is 3.0. Check https://electroncash.org/ and amend the below installation command to fit your downloaded version. Note gpg: Good signature line. All good! Navigate to the following page to learn how to create a Bitcoin Cash offline/paper wallet.